The history of Canada's money provides a unique perspective from which to view the growth and development of the Canadian economy and Canada as a nation. 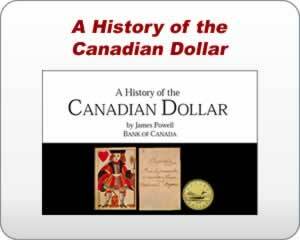 Author James Powell traces the evolution of Canadian money form its pre-colonial origins to the present day, highlighting the currency chaos of the colonial period, as well as the effects of two world wars and the Great Depression. He also chronicles the ups and downs of our dollar through almost 150 years and describes its relationship with its U.S. counterpart.